Designed for learning spanish by interacting with spanish phrases. Use Key Translations while reading spanish or looking up spanish words and the application will learn what you need to practice and present you with phrases matching the words you translate most frequently. 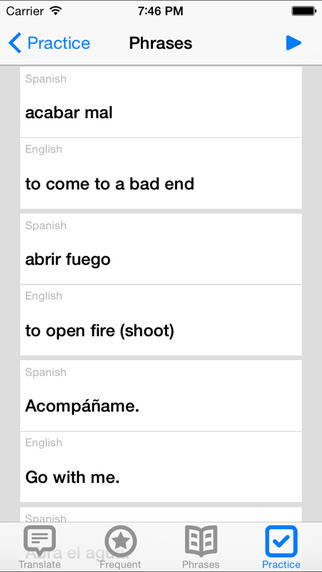 You can also practice using flash cards generated while translating. 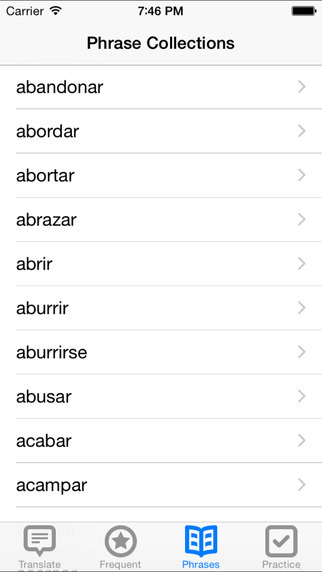 Easily translate english words and phrases into spanish or go from spanish to english. Keep track of your most commom translations so that you can better target words you need to learn. We have included thousands of phrases with all of the most common spanish verbs to help you learn how to use the language properly. 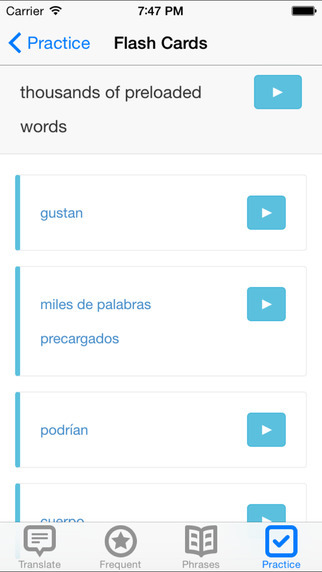 As you use the english to spanish translation app you will want to practice the words you have translated. Watch the video below to see the english to spanish translation app in action then get the app yourself and give it a whirl. 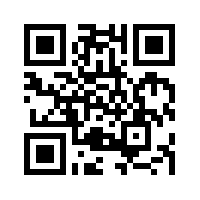 Download the Key Translations app from the App Store. As you use the app it learns what you need help with making the experience better. The more you translate the more customized your experience will be. Make learning spanish like playing a game. Our addons help you practice while you play. Here are a few screen shots of the application. Clean and simple is the approach we have taken in the design of this english to spanish translation application. The goal is to help you do what you need to do without getting in the way. 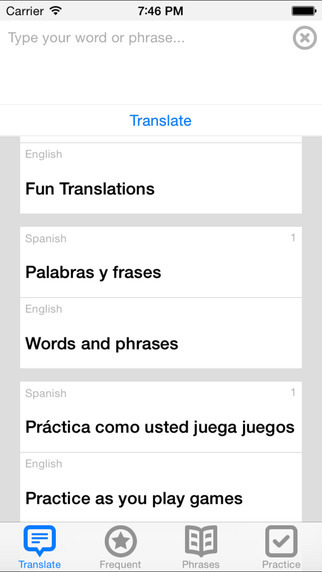 Download the english to spanish translation app that will have you speaking spanish in no time!